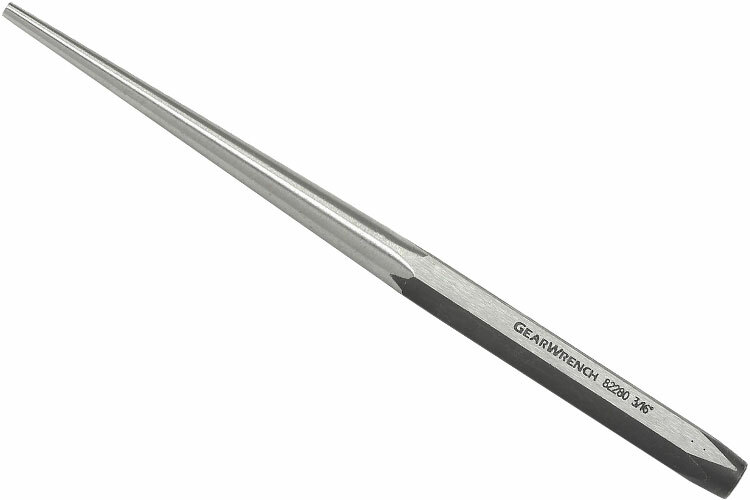 GearWrench Long Taper Punches are used to install and remove pins and shafts and align holes and meets or exceeds ASME B107.47. 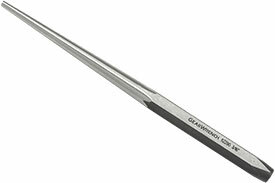 The 82281 GearWrench Long Taper Punches is one of thousands of quality tooling products available from MRO Tools. Please browse GearWrench Long Taper Punches for tools similar to the 82281 GearWrench Long Taper Punches. 82281 GearWrench Long Taper Punches description summary: GearWrench long taper punches. Point Diameter: 1/4'' Stock Size: 5/8'' Overall Length: 11'' Quantity discounts may be available for the 82281 GearWrench Long Taper Punches. Please contact MRO Tools for details.